S - Accessories Included are, Rear Spoiler, Rear Bumper Protector, Interior Accent Lighting. Intelligent Forward Collision Warning, Automatic Emergency Braking, 8 Way Power Adjustable Driver's Seat, Nissan Connect 8 Touch Screen Display, Apple Car Play. Safety Features, 4 Wheel Disc Brakes, ABS Brakes, Dual Front Impact Airbags, Dual Front Side Impact Airbags, Front and Rear Anti Roll Bar, Knee Airbag, Low Tire Pressure Warning, Occupant Sensing Airbag, Overhead Airbag, Rear Side Impact Airbag. Added Accessories: Rear Spoiler, Chrome Rear Bumper Protector, Interior Accent Lighting. We are Orange County's Fastest Growing Nissan Dealership. We make purchasing a vehicle easy and hassle free! Leave happy or your money back!!! 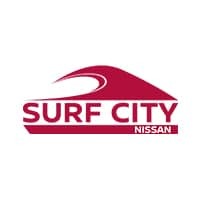 Price includes: $1,500 - Nissan Customer Cash - National All Pricing and Advertised Price for any vehicle does not include dealer installed accessories which can be purchased for an additional cost.